From left: Gregory Abowd, Julie Kientz, Shwetak Patel, and Award Chair Judy Kay. Not pictured: Matthew Reynolds and Thomas Robertson. 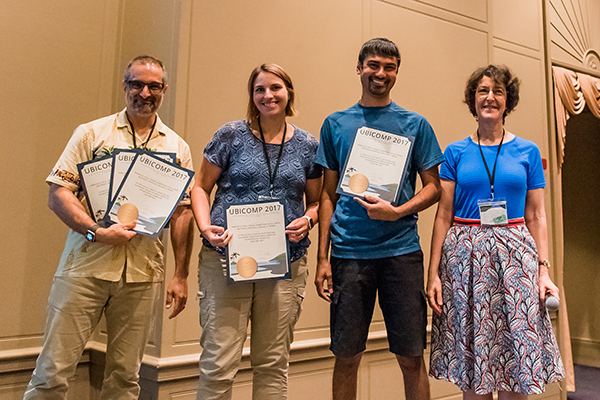 University of Washington professors Shwetak Patel, Matt Reynolds, and Julie Kientz have been recognized with the 10-Year Impact Award at Ubicomp 2017 for the paper, “At the Flick of a Switch: Detecting and Classifying Unique Electrical Events on the Residential Power Line.” The paper, which originally earned the Best Paper Award and Best Presentation Award at Ubicomp 2007, was singled out by this year’s conference organizers for having lasting impact a decade after its original presentation. Patel and Reynolds hold joint appointments in the Allen School and Department of Electrical Engineering. Kientz is a faculty member in the Department of Human Centered Design & Engineering with an adjunct appointment in the Allen School. Patel and Kientz were Ph.D. students and Reynolds was a senior research scientist at Georgia Tech when they co-authored the original paper with research scientist Thomas Robertson and professor Gregory Abowd. The paper presents a novel approach for detecting energy activity within the home using a single plug-in sensor. The researchers applied machine learning techniques to enable the system to accurately differentiate between different electrical events, such as turning on a specific light switch or operating certain appliances. This work paved the way for a new field of research in high-frequency energy disaggregation and infrastructure mediated sensing. 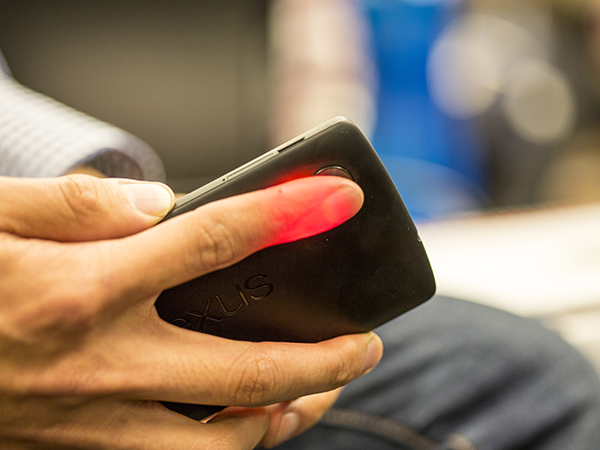 It also led to the creation of Zensi, a startup spun out of Georgia Tech and UW that was acquired by Belkin in 2010. Many other companies focused on home energy monitoring and automation have been formed based on the techniques first described in the winning paper. 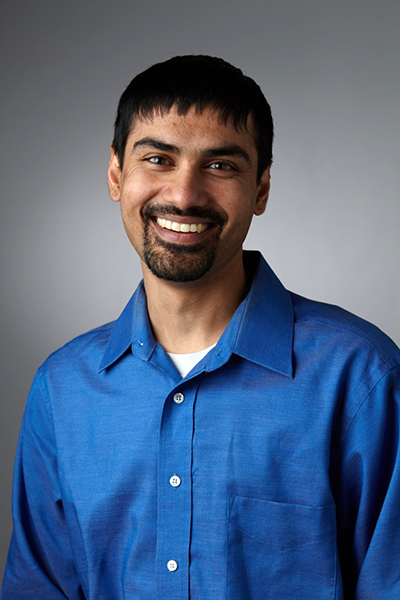 Tune in Wednesday, February 15th, when UW CSE and Electrical Engineering professor Shwetak Patel will deliver a talk on the emerging role of mobile phones in health as part of the National Science Foundation’s Computer & Information Science & Engineering (CISE) Distinguished Lecture Series. 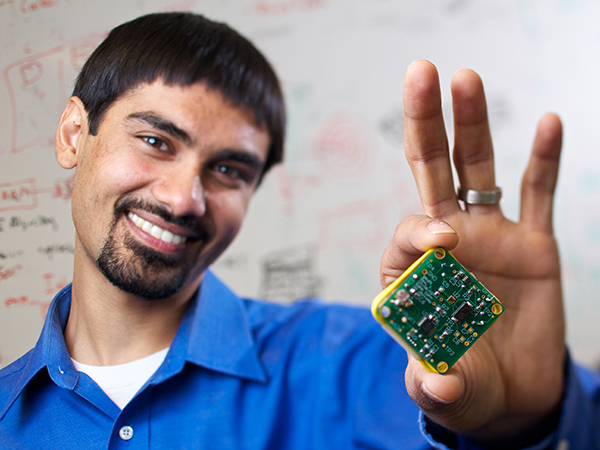 In his presentation, Patel will describe how he and his students in the UbiComp Lab have leveraged the increasingly sophisticated sensing capabilities of mobile phones to create palm-sized, yet powerful, health diagnostics and disease management tools. He will also share his thoughts on the critical role that computer science plays in enabling mobile health innovation and what he envisions for the future of this rapidly growing field. Patel’s talk will begin at 11:00 am PST (2:00 pm EST). Learn more and register to watch the live stream here. Front row: Shwetak and Luke. Back row: Eleanor. 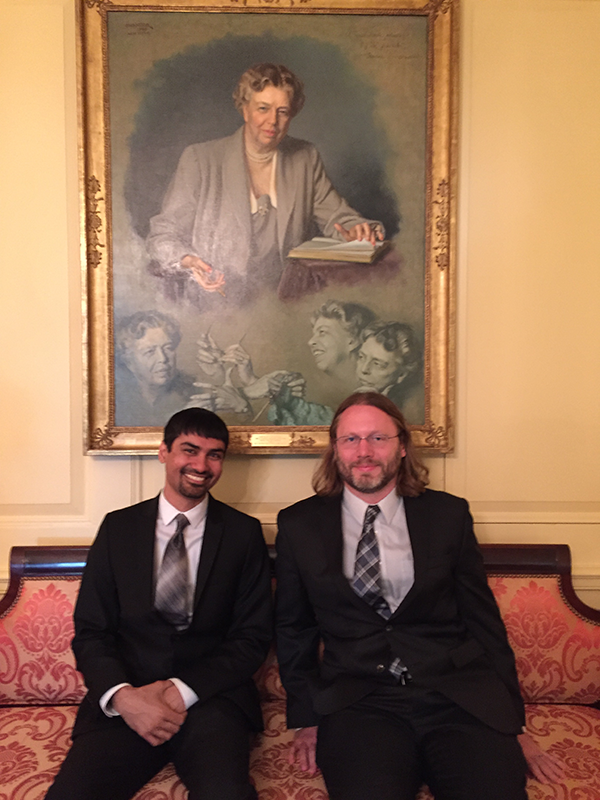 UW CSE and Electrical Engineering professor Shwetak Patel and CSE professor Luke Zettlemoyer traveled to our nation’s capital to collect their Presidential Early Career Award for Scientists & Engineers (PECASE). The PECASE Award is the highest honor bestowed by our nation’s government on early career researchers in science and engineering fields. The 106 winners named in February gathered yesterday to be recognized at ceremonies hosted by the National Science Foundation and the White House Office of Science & Technology Policy. Today, awardees joined President Barack Obama at the White House, where Amazon CEO Jeff Bezos also spoke. 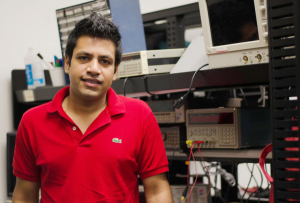 Patel was nominated for the PECASE by the National Science Foundation for his work on home sensing systems to monitor electricity and water consumption. Zettlemoyer was nominated by the Department of Defense for developing new approaches to natural language processing. 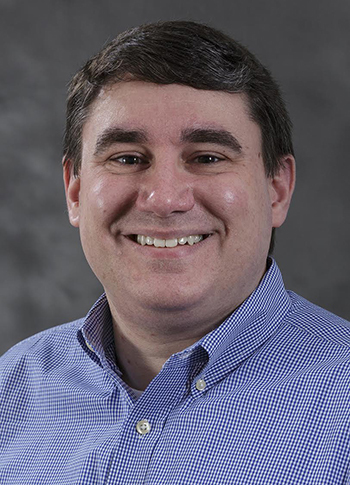 UW Chemistry professor David Masiello also received a PECASE through NSF for his work in the emerging field of theoretical molecular nanophotonics. Read our earlier post on the PECASE announcement here. Congratulations to Shwetak, Luke and David on this terrific achievement! 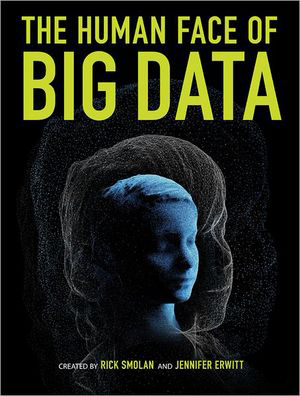 Last night the new documentary The Human Face of Big Data premiered on PBS. UW CSE and EE professor Shwetak Patel contributed his expertise and insights to the film, which examines how the vast amounts of data collected in our increasingly connected world is changing the way we live and shaping our future. As big data’s big night approached, Patel and executive producer Rick Smolan joined Jeremy Hobson, host of NPR’s “Here & Now,” to talk about the anticipated benefits and potential pitfalls associated with the age of big data. Another topic discussed by the trio was the need for transparency around what data is being collected and how it is being used. Patel agreed that it is a conversation we need to have, and that technology could help broker that. “One of the issues is that people really don’t know what’s possible with the data and what’s actually happening behind the scenes,” he said. Although on the one hand, many people may react negatively to the concept of big data, Patel noted that they are “voting with their feet” by using the apps and services. “At the end of the day, it’s really the data analytics that’s enabled this whole technology revolution and this new paradigm,” he said. Listen to the full interview on the NPR website, and watch clips from the documentary online courtesy of PBS. Also check out related coverage on GeekWire and the original book on which the film is based. 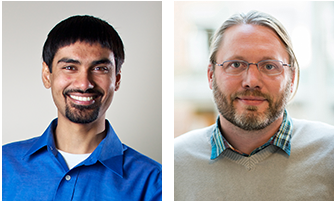 The White House Office of Science and Technology Policy announced today that UW CSE and EE professor Shwetak Patel and UW CSE professor Luke Zettlemoyer have been selected to receive a Presidential Early Career Award for Scientists and Engineers (PECASE). The award, which is the highest honor the U.S. government bestows upon scientists and engineers in the early stage of their careers, is designed to support promising young researchers who show exceptional potential to advance the frontiers of scientific knowledge in the 21st century and demonstrate a commitment to community service. Shwetak and Luke will be formally recognized at a White House ceremony in the spring. They join some pretty select company, including previous PECASE recipients Tom Anderson and Carlos Guestrin on the UW CSE faculty. Read the White House press release here. Read the UW News press release here. 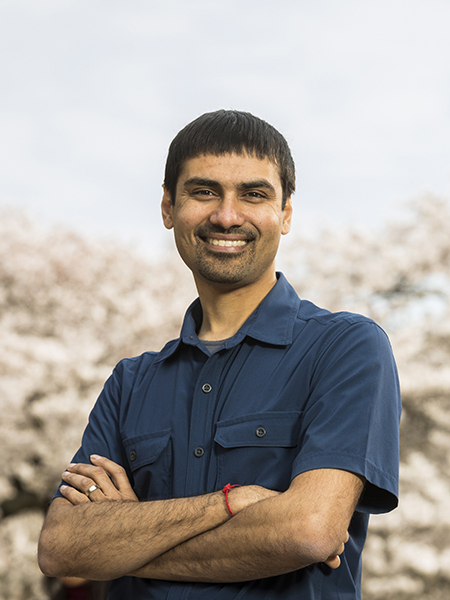 UW CSE and EE professor Shwetak Patel of the UbiComp Lab is featured in a new documentary, “The Human Face of Big Data,” that will air on PBS next week. The award-winning film examines how our growing capacity to collect and analyze data enables us to understand our world and ourselves in new ways—and at what cost. The filmmakers point out that more data has been generated since 2003 than in all of previously recorded history. 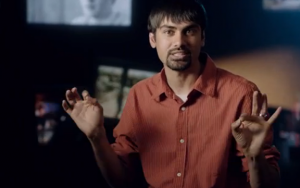 “It’s the data that creates understanding and knowledge,” Patel says in the PBS trailer. The film features two of his lab’s projects, ElectriSense and HydroSense, which are capable of collecting data at the individual appliance level for energy usage and water consumption, respectively. Local station KCTS 9 and the Seattle International Film Festival have teamed up to offer a free special screening and discussion session with filmmaker Sandy Smolan tomorrow, February 17th, and the documentary premieres on PBS nationwide next Wednesday, February 24th. It will be available to stream online as of the following day, and will be broadcast internationally in 25 countries later this year. Shwetak goes on to explain how continuous interaction between humans and sensors has transformed the automobile. He also talks about the potential benefits of extending these interactions into the home where, for example, sensors could be used to monitor the health of a person inside. 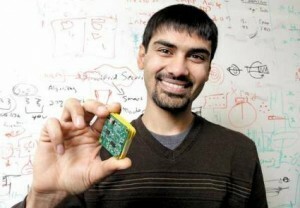 The article also quotes UW CSE Ph.D. student Mayank Goel, whose research focuses on novel uses of mobile phone sensors. One of his projects is focused on using a smart phone’s accelerometer to stabilize the keyboard and reduce texting errors. 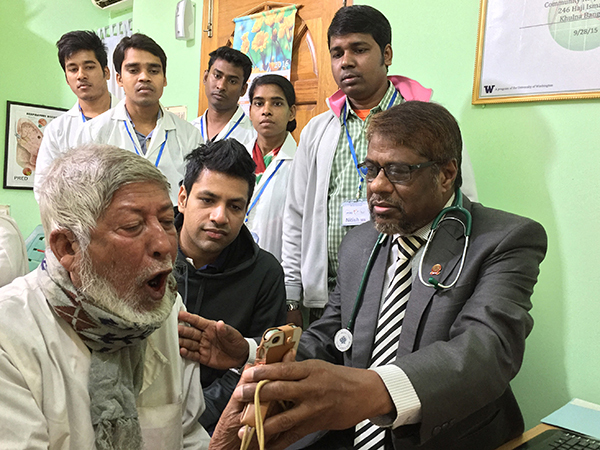 Another project, SpiroSmart, turns a smart phone’s microphone into a spirometer for measuring lung function. 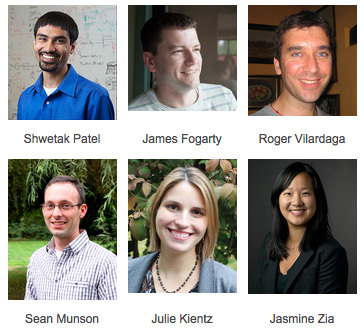 Learn more about the UbiComp Lab here. The UW Innovation Research Award supports unusually creative early and mid-career faculty in engineering, health, natural and social sciences. The Provost has just announced an award to team of six investigators: Shwetak Patel and James Fogarty (Computer Science & Engineering); Julie Kientz and Sean Munson (Human-Centered Design & Engineering; both are also Adjunct faculty in CSE); Jasmine Zia (UW Medicine’s Division of Gastroenterology); and Roger Vilardaga (Psychiatry and Behavioral Sciences). They are building tools used on a mobile device that allow patients to easily enter data about habits and behaviors related to a particular health problem. These data will help extend the reach of health care beyond the clinic, making it easier for physicians to make diagnoses and treatment plans. Go team! Read more here.